Citing the FTC’s review of past merger remedies, Bruce Hoffman said the commission has found that divestitures were not working well in those complex pharmaceutical markets. He delivered the lunchtime keynote speech at GCR Live 7th Annual Antitrust Law Leaders Forum on Friday. He noted that in the inhalant and injectable drug market, often one company in a proposed merger is already selling a product while the other company is developing an overlapping product. “As a result, we are not accepting divestitures of pipeline products in this situation anymore,” Hoffman said. 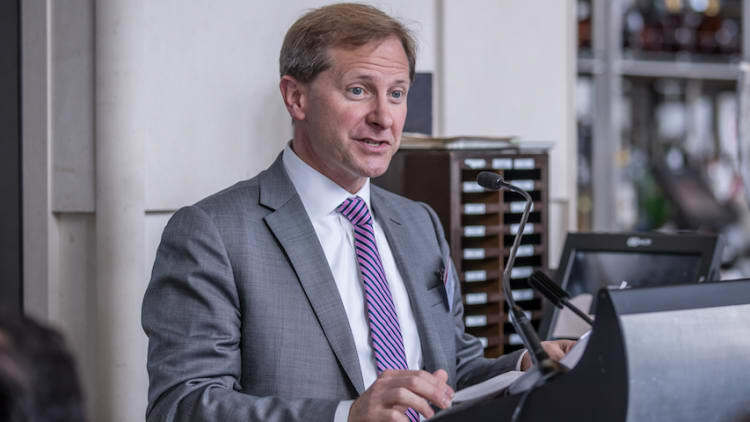 “Our view is that when you’re looking at remedies, you’re remedying an anticompetitive transaction… and the risk of failure belongs on the parties, not on the public,” Hoffman insisted, saying that is what is driving the commission’s thinking on the issue. In follow-up comments to GCR, he explained that the concern may arise specifically in the inhalable and injectable pharmaceutical market due to the difficulty of actually getting such products to market. A company can formulate the drug, but then struggle to have a factory capable of producing it reliably, Hoffman said. GCR Live Miami concluded on Saturday.